Superior blend of fish bone meal, feather meal, alfalfa meal, seaweed extract and more. Feeds vegetables, all flowers, bedding plants, all trees, shrubs, annuals, perennials, potted plants. 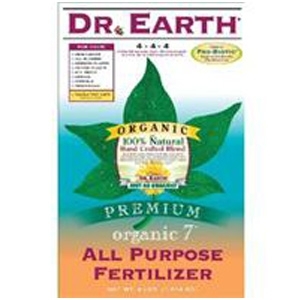 Contains pro-biotic seven champion strains of beneficial soil microbes plus ecto and endo mycorrhizae. Champion soil builder.